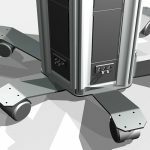 PISA is a versatile custom built solution for providing high density power, data and AV connectivity in clustered workstations. 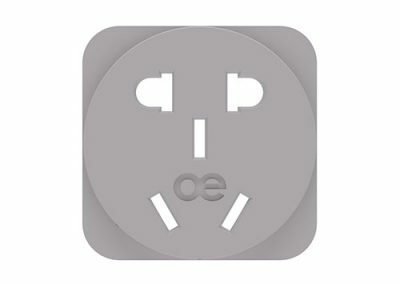 The 6 vertical sides can be configured with your choice of AC power sockets from the extensive OE Electrics’ range of modular components. 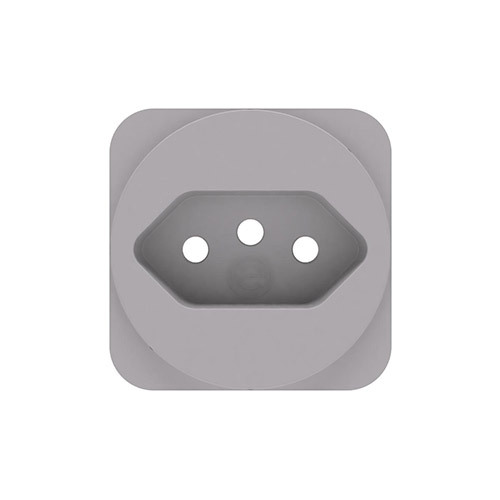 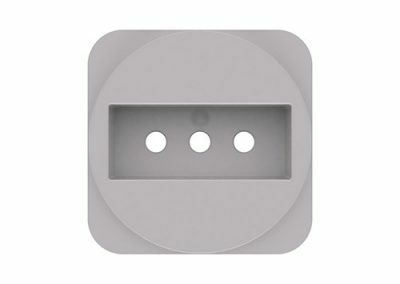 OE Electrics’ PISA is ideal for mounting on the core of a workstation cluster and is particularly suitable for Call-Centres, Library style work areas or for hot desking environments. 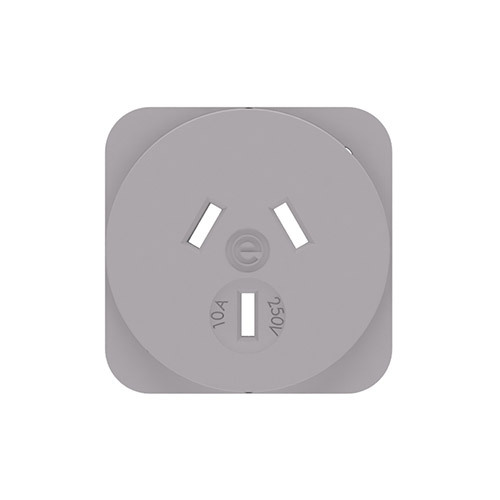 PISA may be fitted with a choice of fixed or wheeled bases and can be ordered with a top-cap to match the surrounding worktops or complement the furniture finishes. 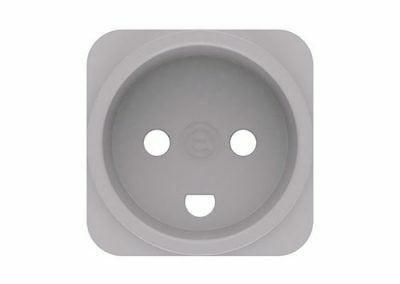 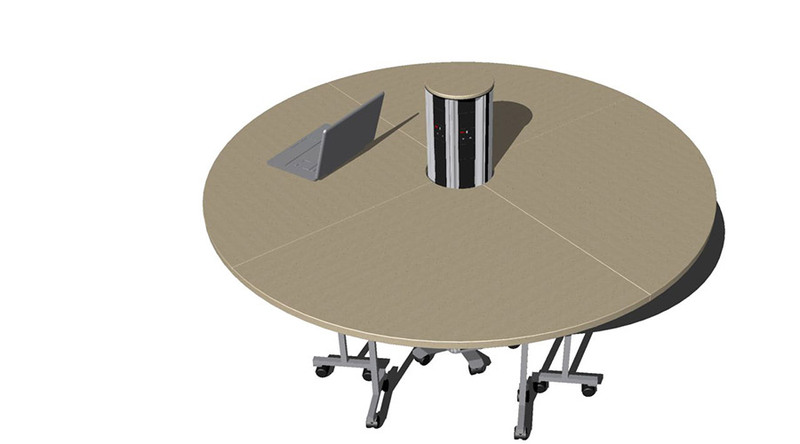 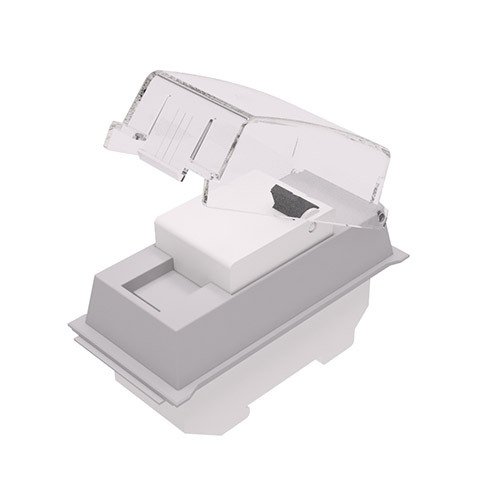 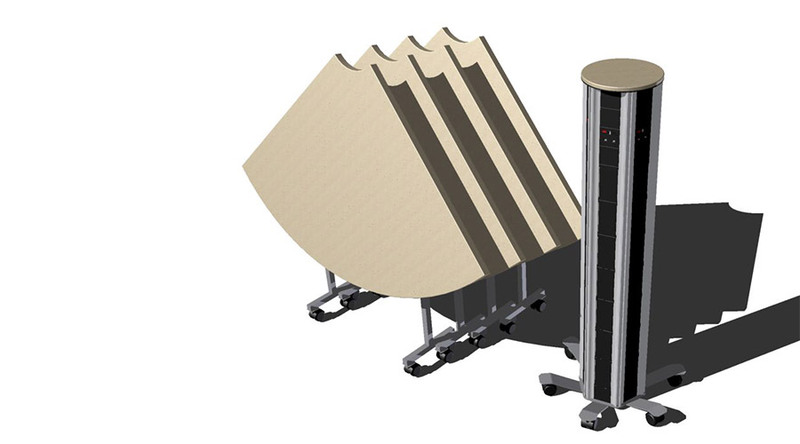 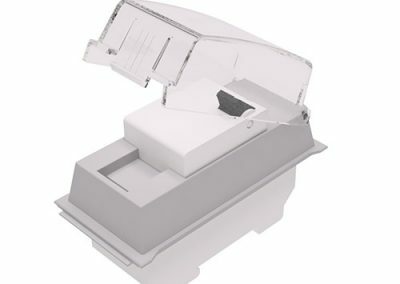 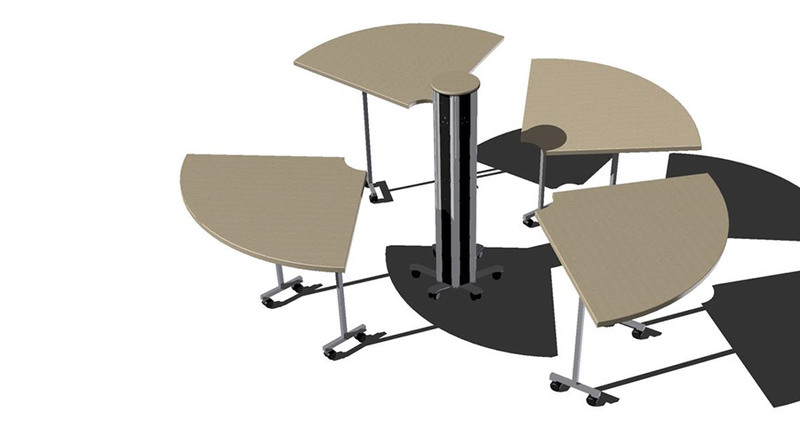 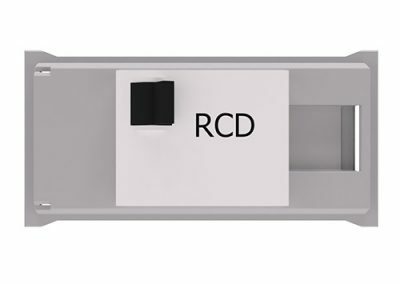 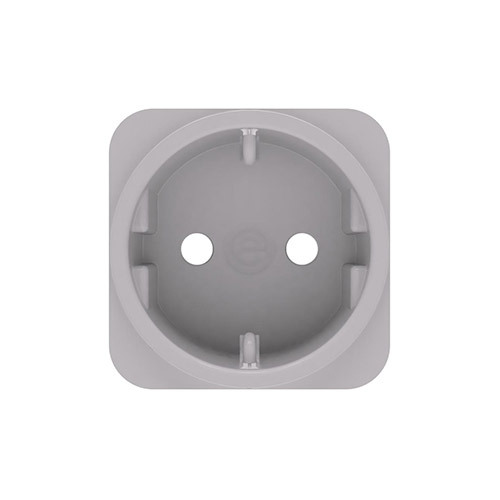 Each PISA is manufactured to meet exact requirements as to below and above desk top level connectivity, and as a floor to ceiling power pole (subject to a maximum length of 3 metres). 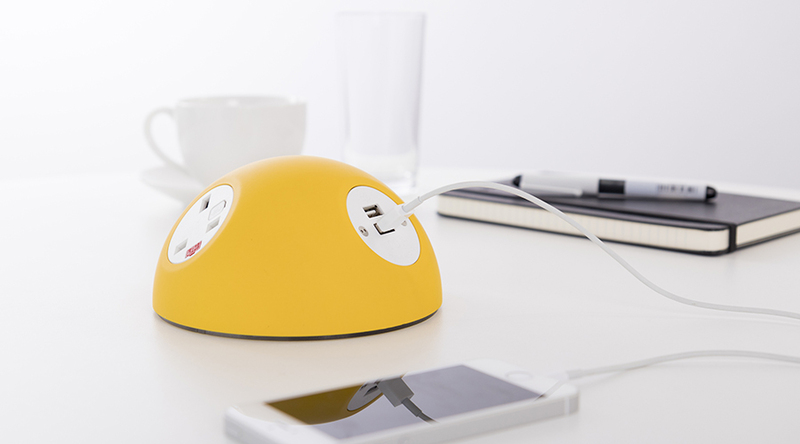 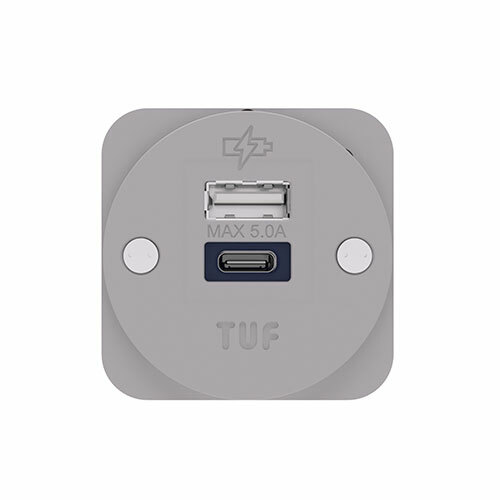 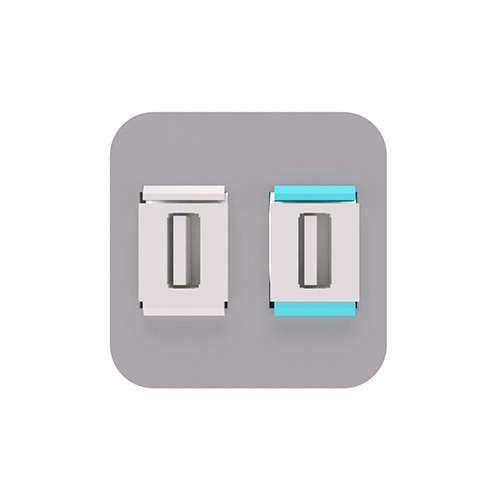 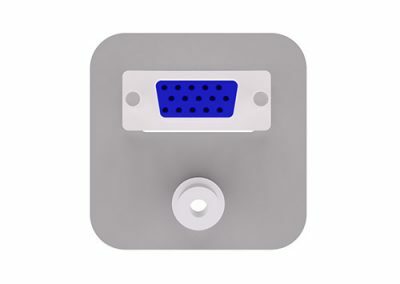 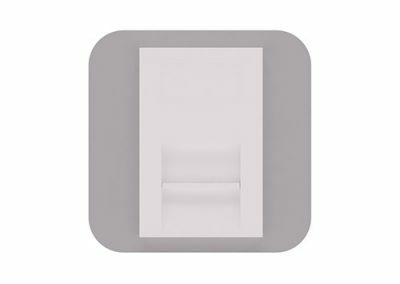 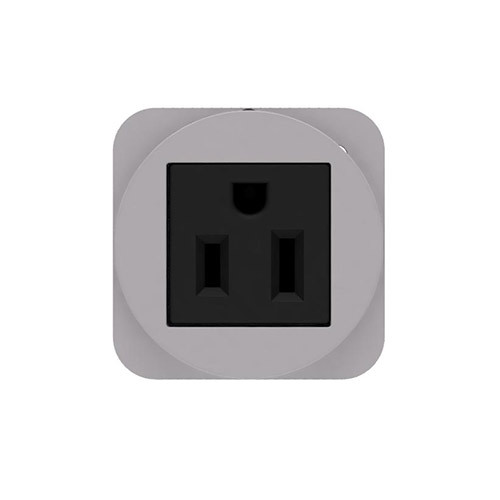 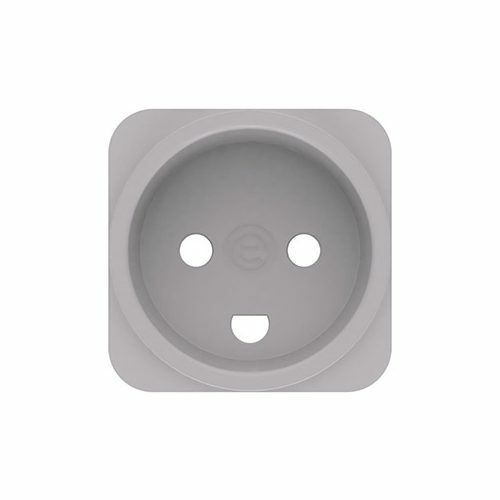 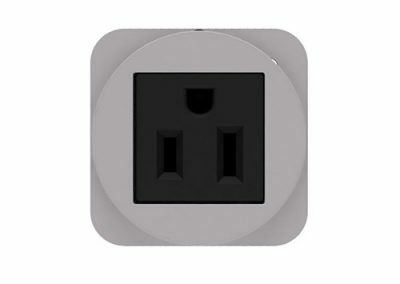 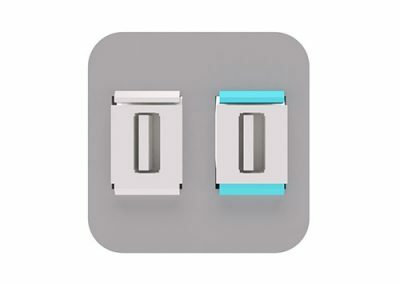 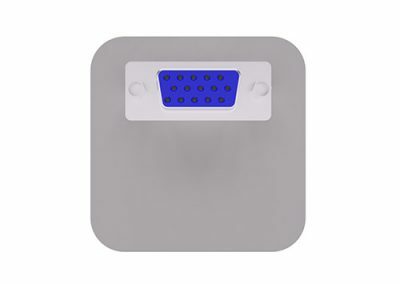 When fitted with multiple OE TUFA+C25W:Twin USB Fast charger sockets in addition to standard AC power sockets, PISA is an excellent solution for an easily relocatable, high usage, mobile device charging station for exhibition stands and airport lounges etc. 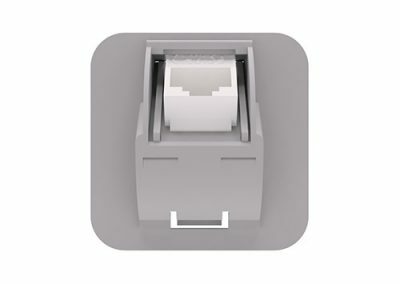 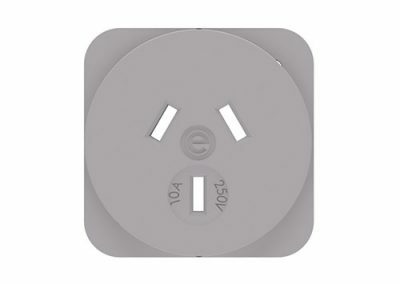 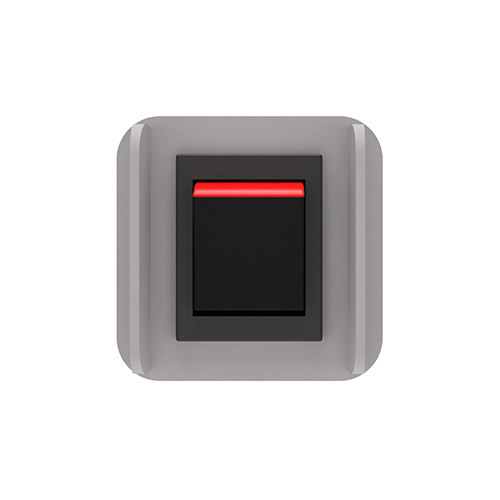 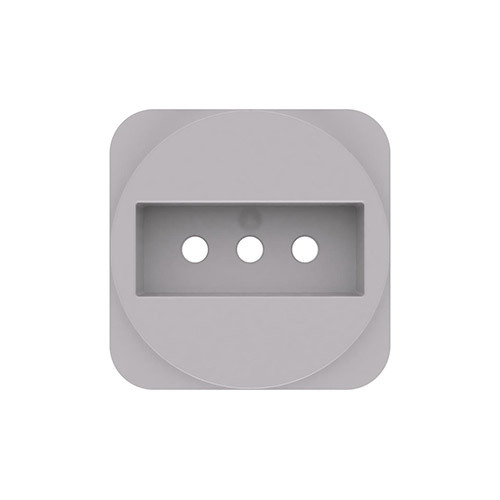 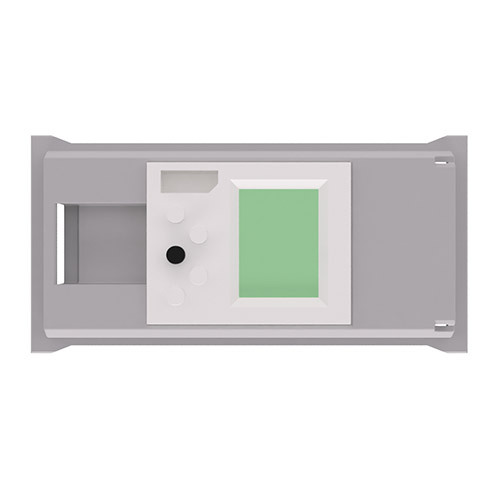 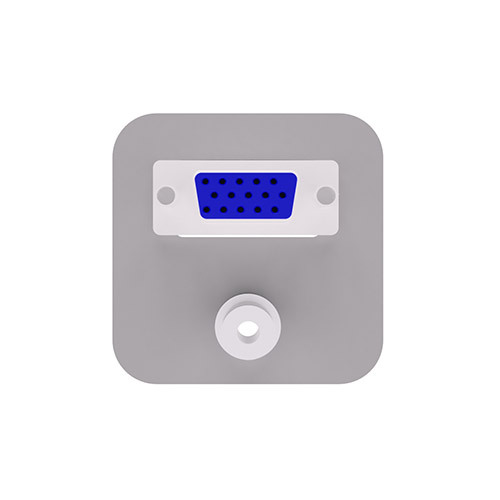 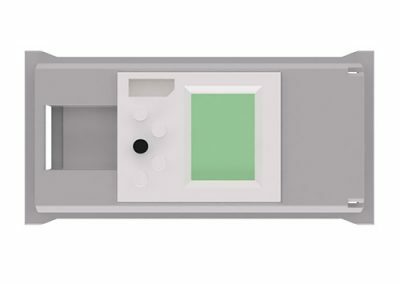 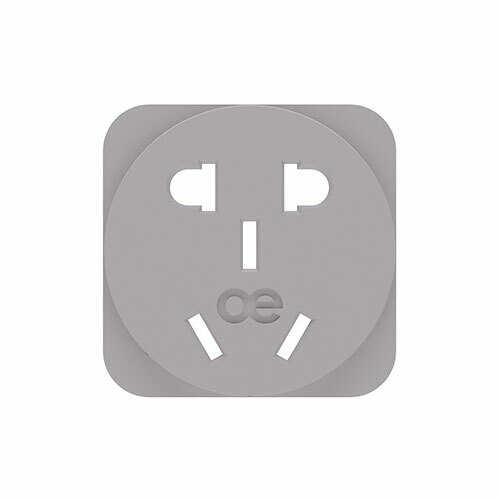 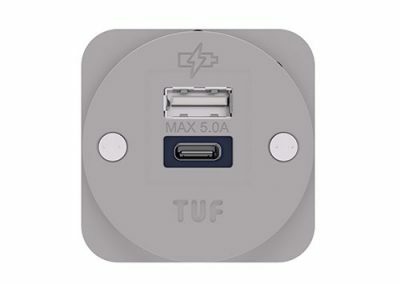 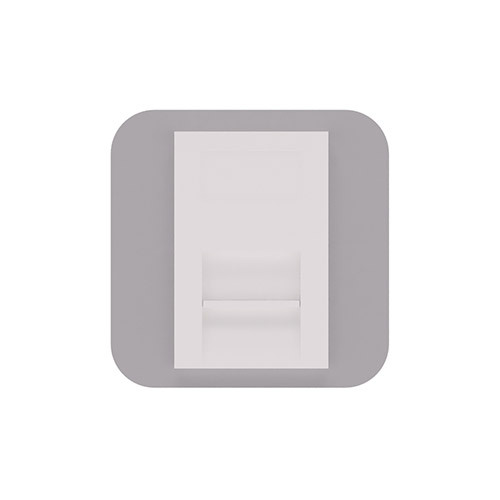 PISA apertures may be configured with the following AC power options from the OE modular range, our class leading OE TUFA+C25W:Twin USB Fast charger, switches, circuits breakers, RCD’s and one or more Cat5e, Cat6, Cat6A data, USB, HDMI, VGA and sound connections. 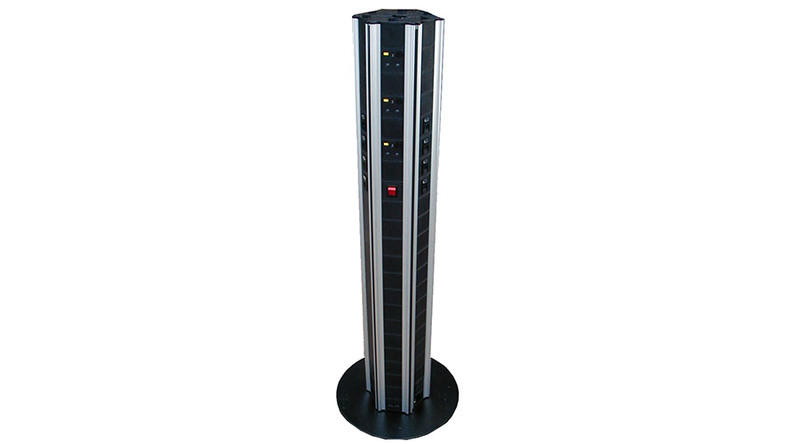 PISA is constructed from 6 vertical aluminium extrusion sections with mild steel top and base plates. 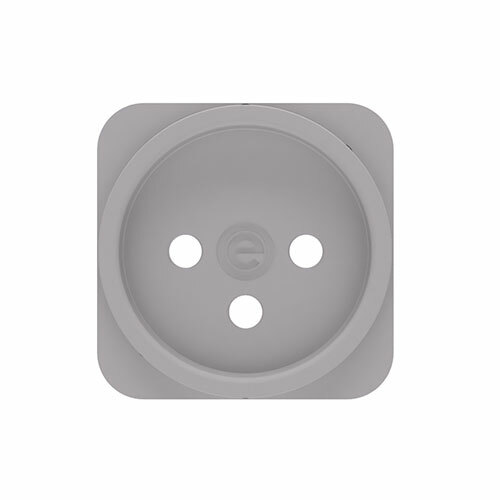 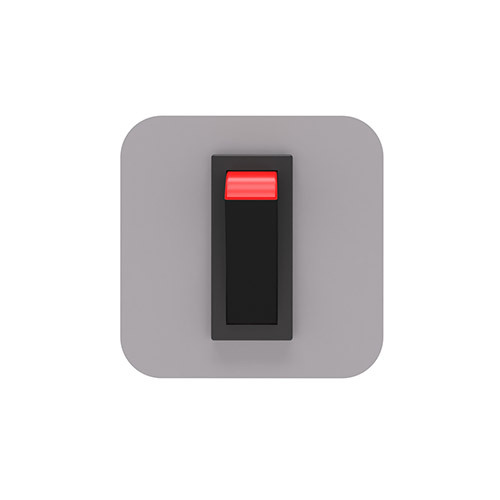 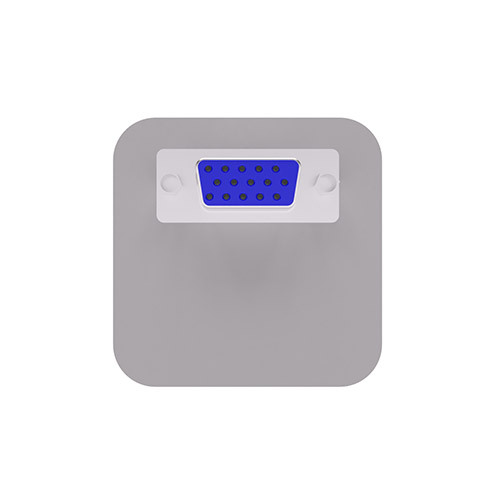 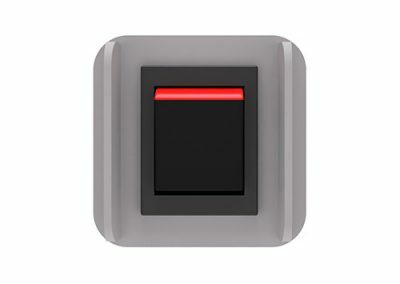 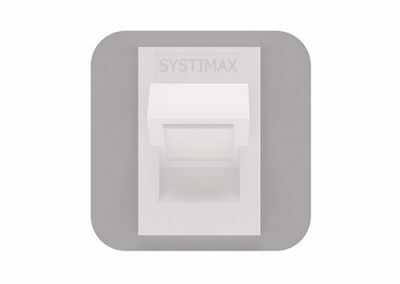 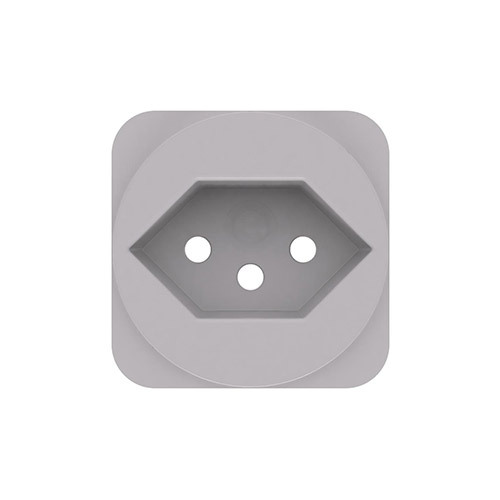 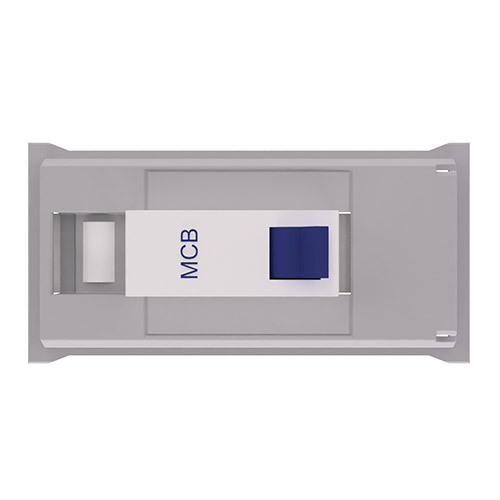 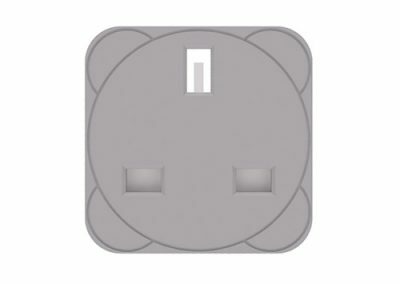 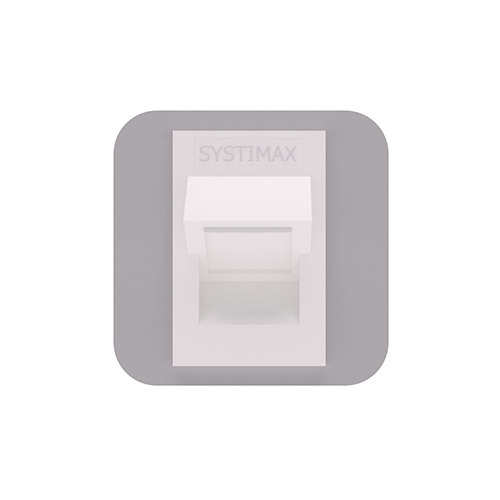 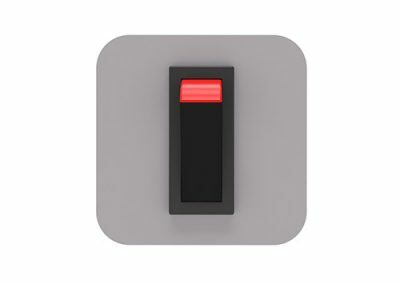 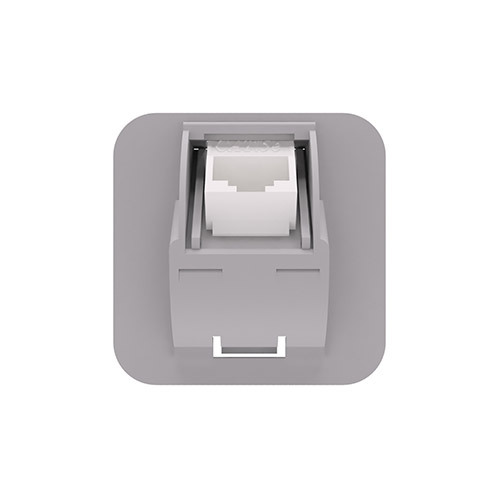 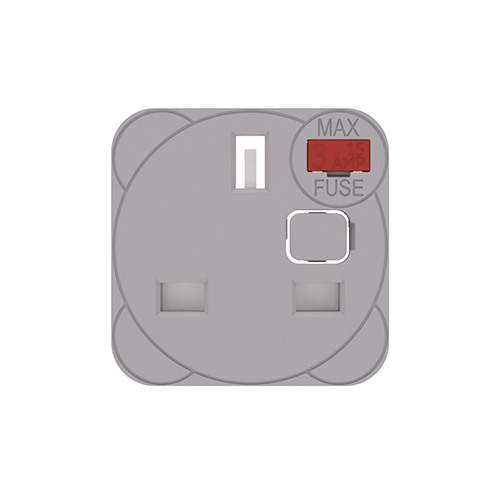 Power, data and AV socket fascias are either flame retardant Polycarbonate or ABS. 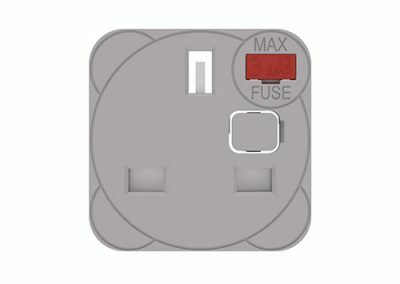 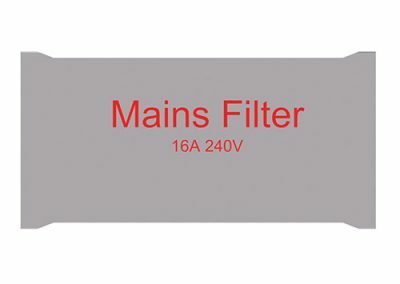 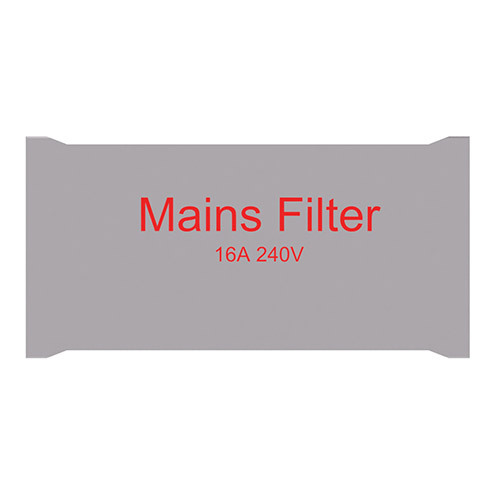 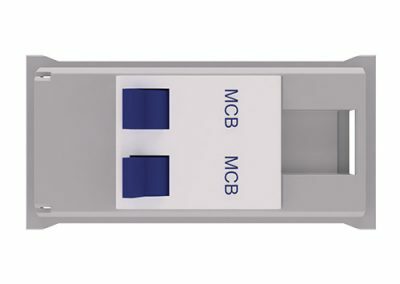 UK BS1363 type sockets can be specified with 3.15A or 5A 5 x 20mm anti-surge ceramic fuses, with colour coded fuse clips to denote the rating. 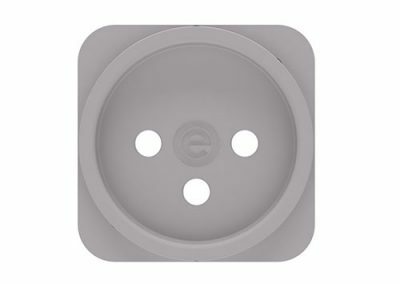 Fully earthed aluminium construction. 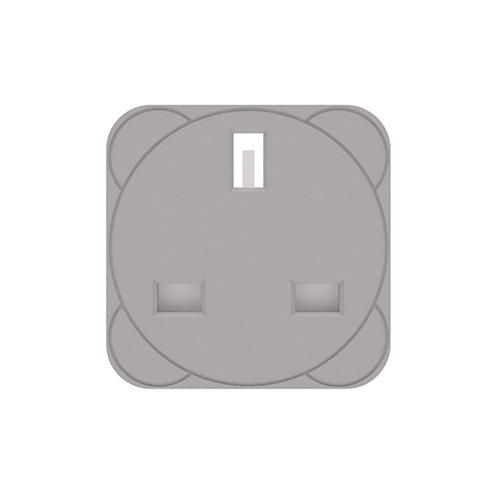 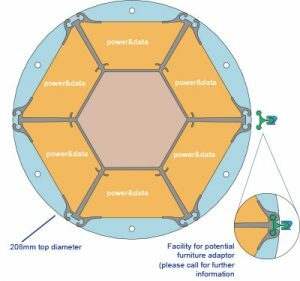 Earth leads can be supplied to allow the earth bonding of metal furniture when required. 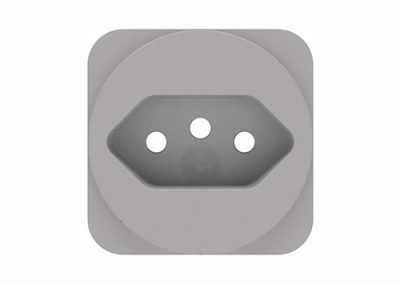 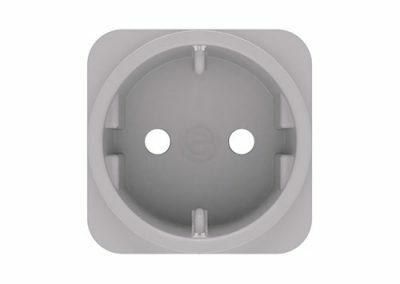 Single or multiple GST18 3 or 4 pole panel mount male connectors. 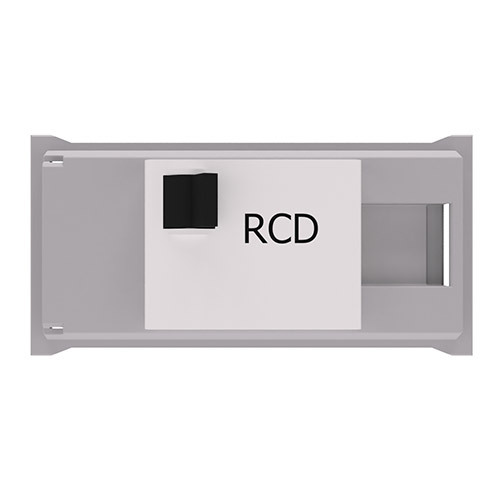 30 mA RCD’s for user protection against electrics shocks. 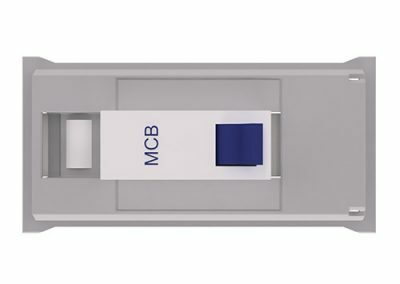 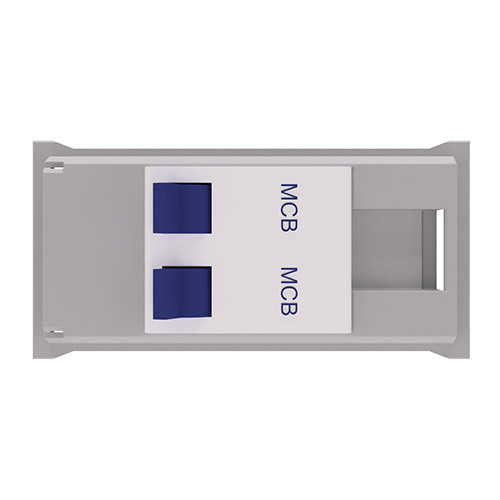 Miniature Circuit Breakers (MCB’s) for overcurrent protection. 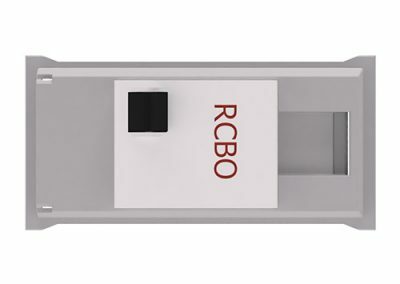 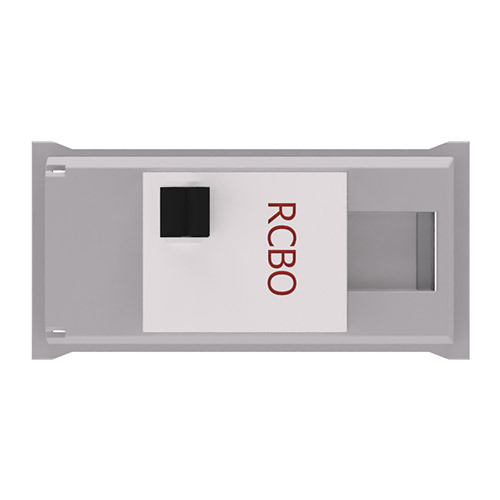 RCBO’s for combined overcurrent and user protection. 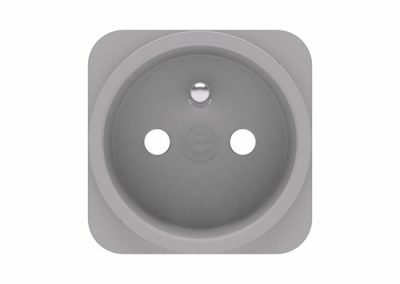 PISA can be supplied with. 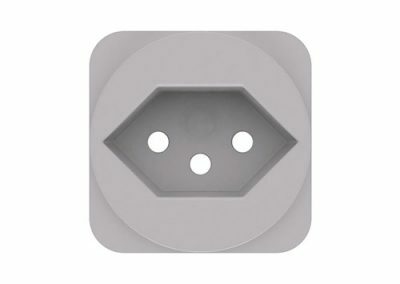 Screw down base for permanent installation. 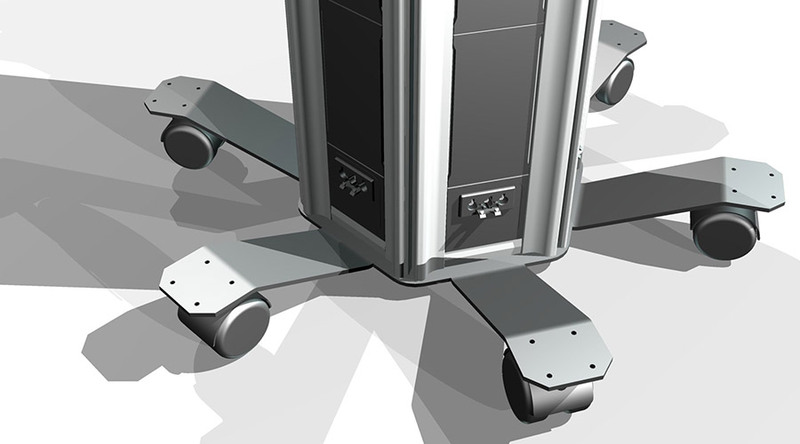 Base with 6 heavy duty wheels for mobile use. 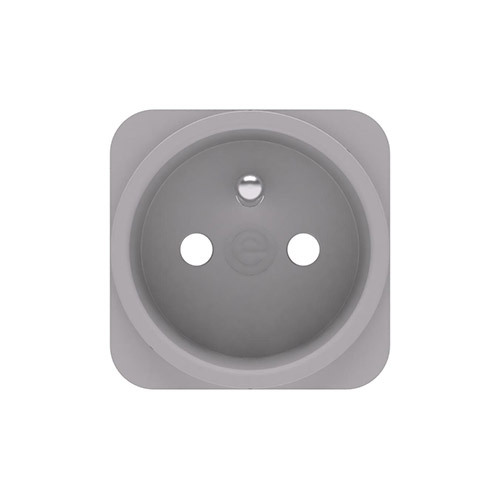 +PISA must be secured in place before use.